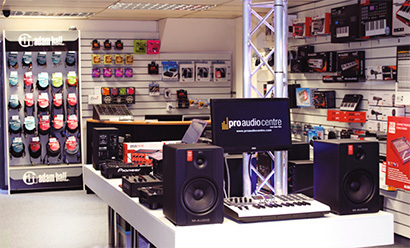 Pro Audio Centre will be playing host to audio giants Electro-Voice and Dynacord as well as lighting specialist Prolight Concepts at their Leeds store’s Open Day on Tuesday the 16th of September 2014. Electro-Voice products available for demonstration on the day will include the new ETX range, as well as the bestselling ZLX active speakers. Dynacord’s Powermate 600-3 2000W mixer and their VA 312-200 PA system will also be on display. Pro lighting will also feature at the Open Day, with the latest in LED effects, moving heads, scanners, stage wash and par cans on display from Prolight Concepts brands Equinox, eLumen8, LEDJ and Acme Lighting. Prolight’s lighting experts will be on hand to demonstrate products and advise on subjects such as product selection for specific venues, rigging and DMX addressing. For further information, or if you have any questions about the event, please call the sales team on 0113 880 0138.